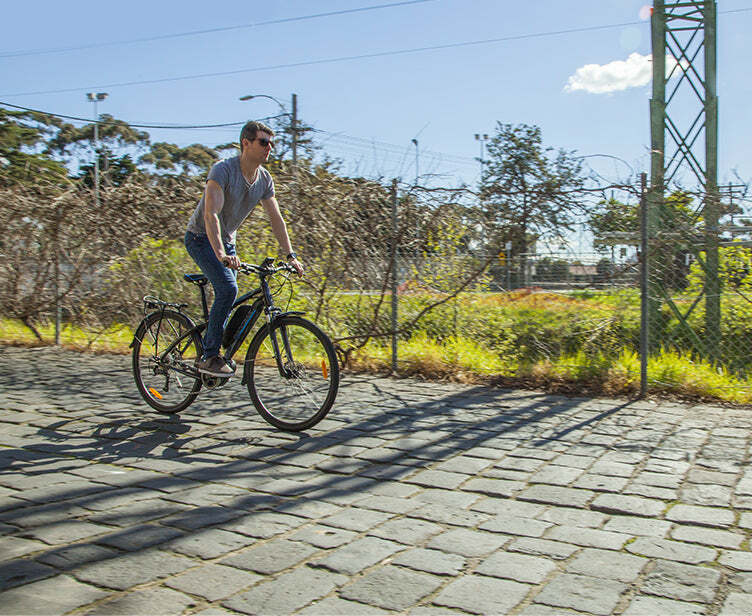 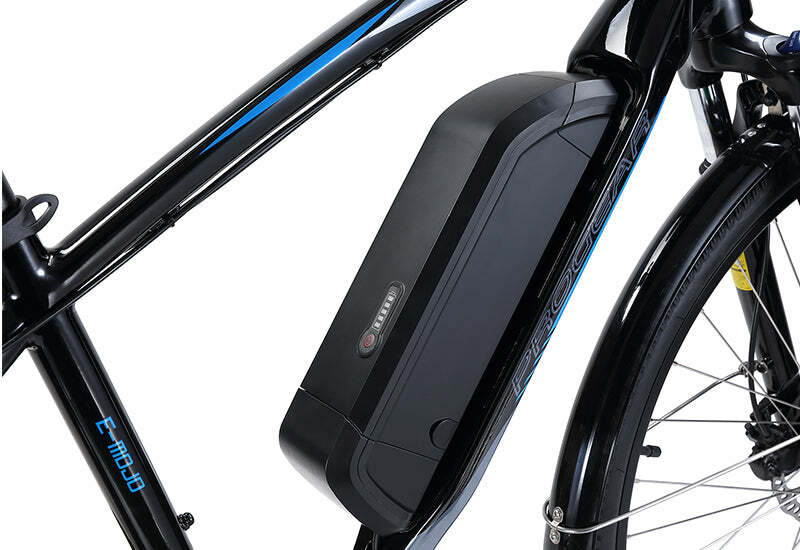 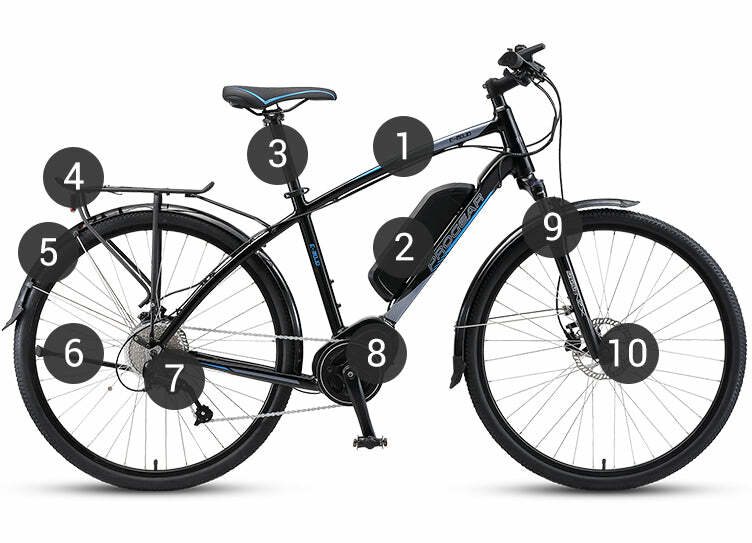 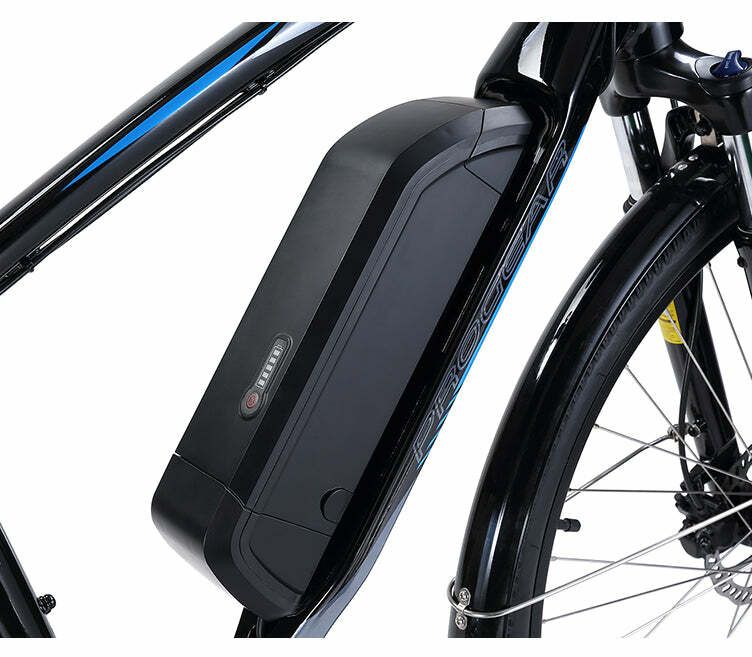 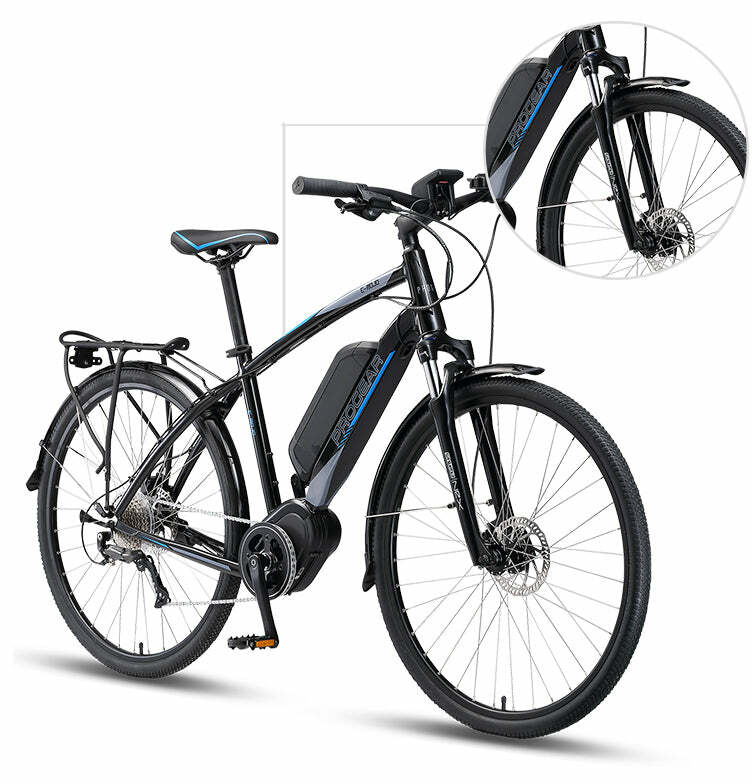 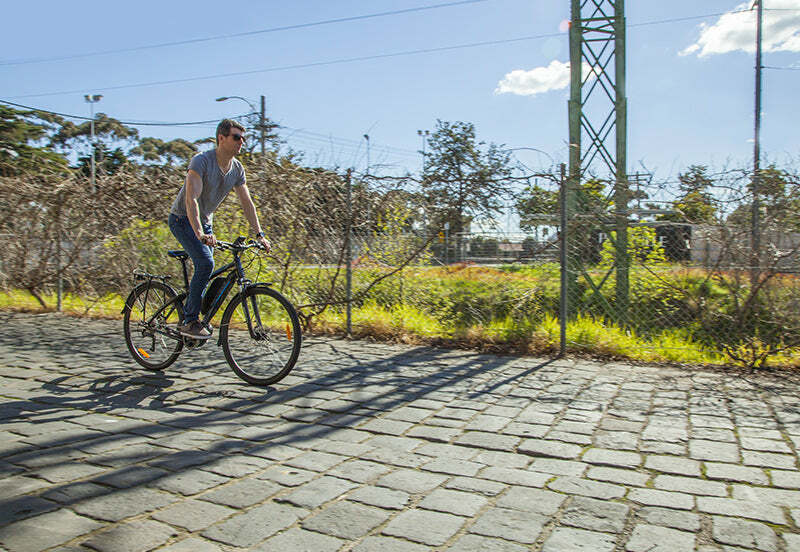 Designed as a hybrid electric bike, the E-Mojo is perfect for your everyday commute or recreational riding. 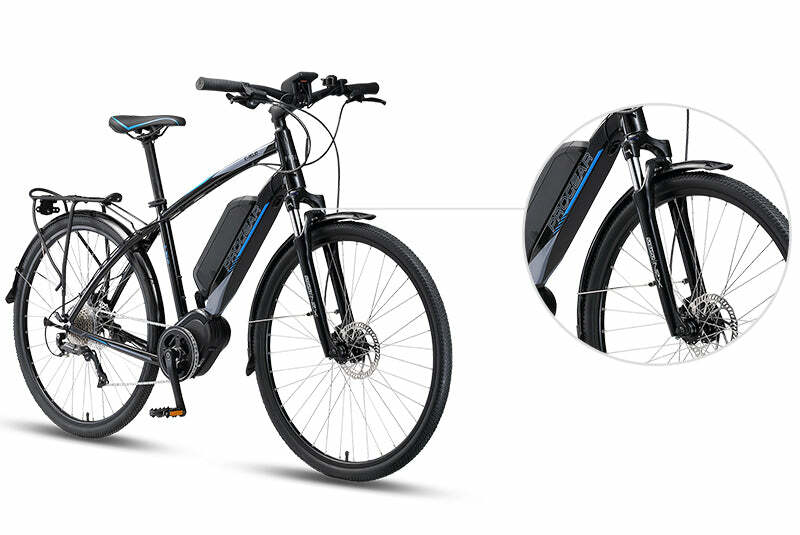 Its easy to handle, lightweight frame offers superb balance in efficiency, comfort, stability, handling and effortless speed. 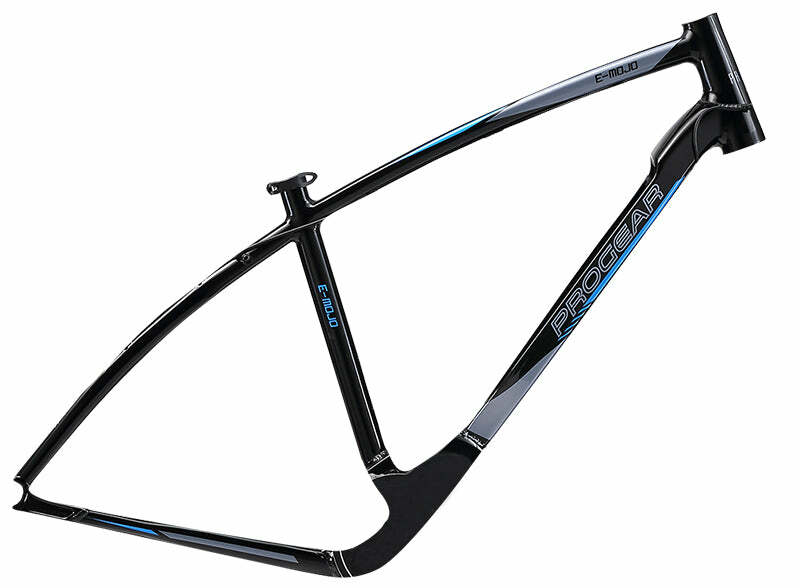 Highest strength rating resulting in less resistance to fatigue. 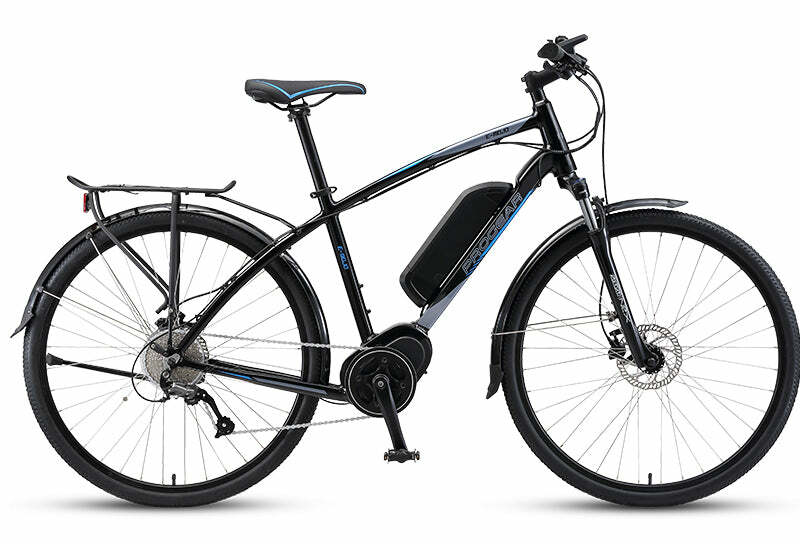 Using a quality Shimano drivetrain, the Shimano Altus provides smooth shifting for 9 gears, so you'll be able to maintain cadence and the right gear ratio for any terrain. 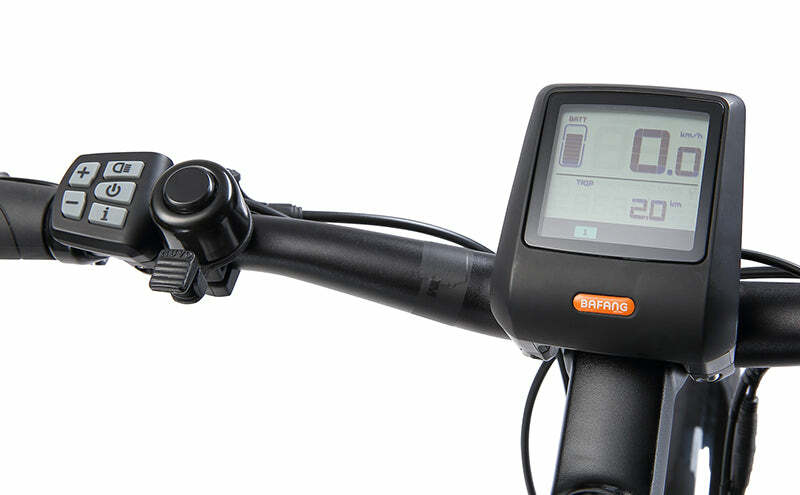 Shifting is a cinch with the Altus Rapid Fire Plus shifters. 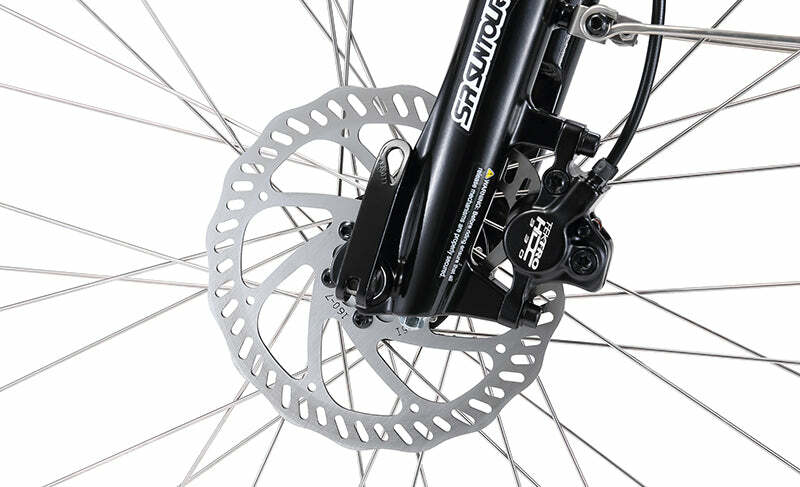 Using the best type of braking system available, the E-Mojo comes with Front & Rear Hydraulic Disc Braking for ultimate stopping power and reliability. 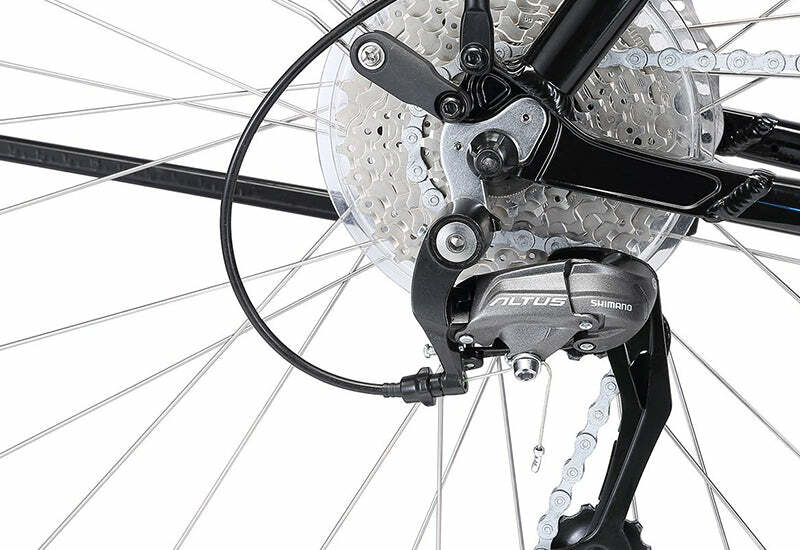 Hydraulic systems are superior to mechanical/cable pull systems with better control and modulation of braking with less effort required. 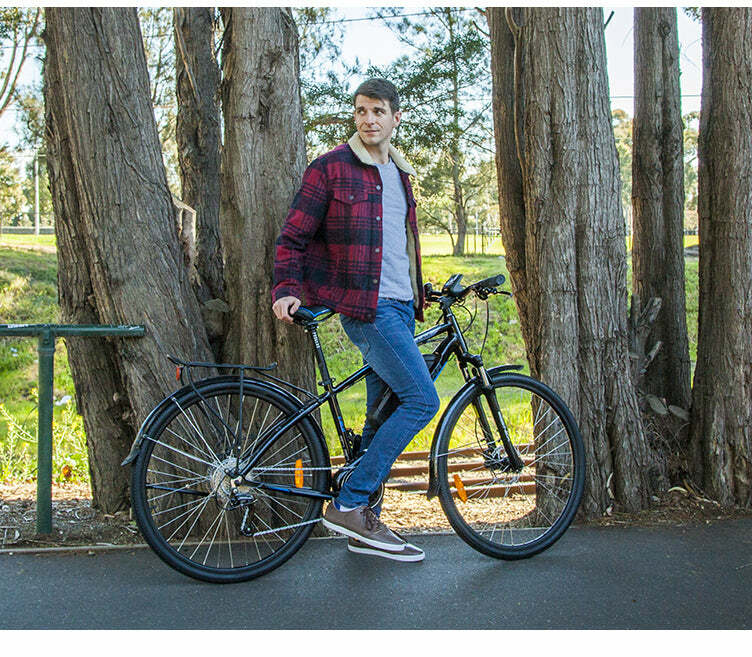 You'll be able to chew up bumpy and uneven terrain with ease on the E-Mojo's suspension forks. 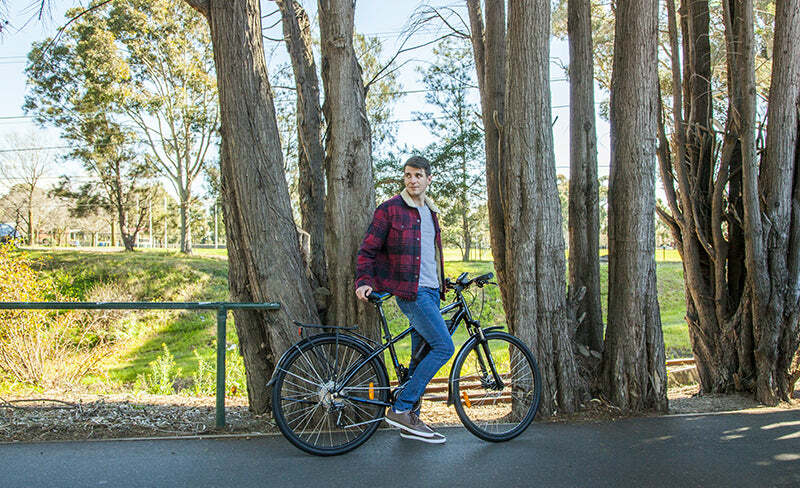 Don't settle for standard forks, you'll be in for an uncomfortable and bumpy ride! 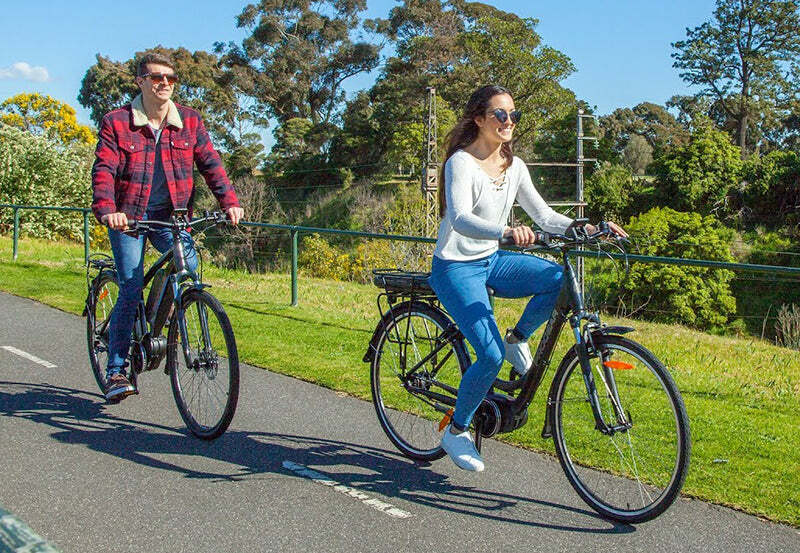 Whether you're riding to work, going out for shopping, taking your loved-ones out for a leisurely ride, the E-Mojo will help you get things done.